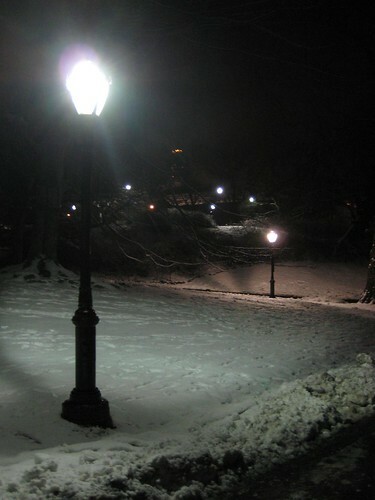 I only had a day to spend in New York, and given the snow forcasts and the possible delayed flights I wanted to make the best of my time there. After the tour, the ladies and I planned out our attack on the city to make the best of the evening. 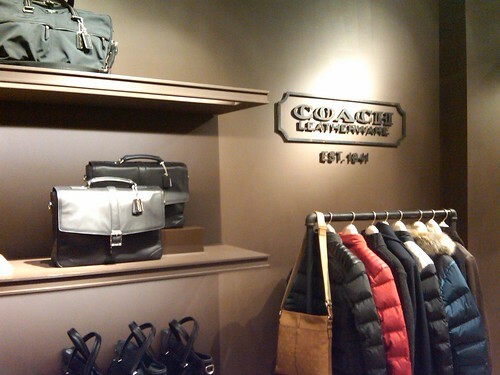 First stop, the Coach boutiques on Bleecker St.
And then there was the stop to see Msr. 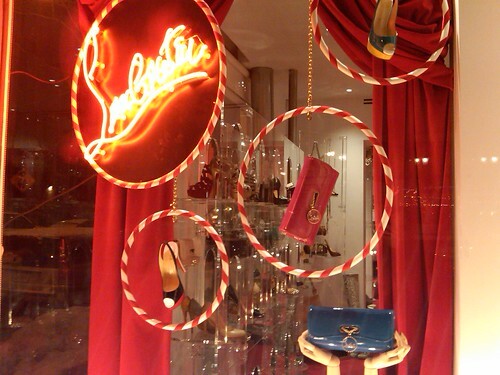 Louboutin's Horatio store. The Bleecker St. Coach boutique hosted blogger events last year to show off their Spring Line and the Louboutin Horatio store has always been on my to-see list after reading about it on thePurseBlog Forums. Yaay! Hopefully one day I'll be in town when there's an event so I can blog about it! 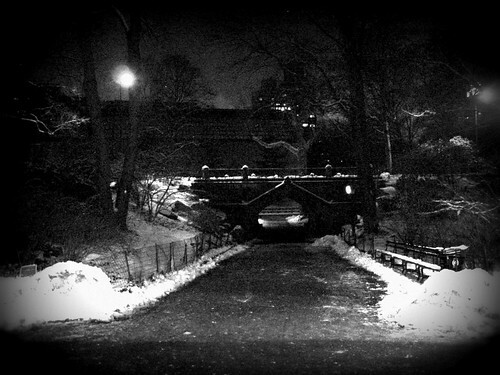 We also took a little walk through Central Park at night with all the snow! Lots of people about taking a stroll, some of them were walking their dogs. :) I don't think Wilson and Colin could handle that kind of cold.